No Holiday get-together is complete without some seasonally themed music, and whether you’re an iTunes Radio lover or Pandora addict, you’ll find great streaming stations available on both services that fit your celebrations. You’ve already decorated your Mac and iOS backgrounds with some great festive wallpapers, so lets get the musical side of things covered next. 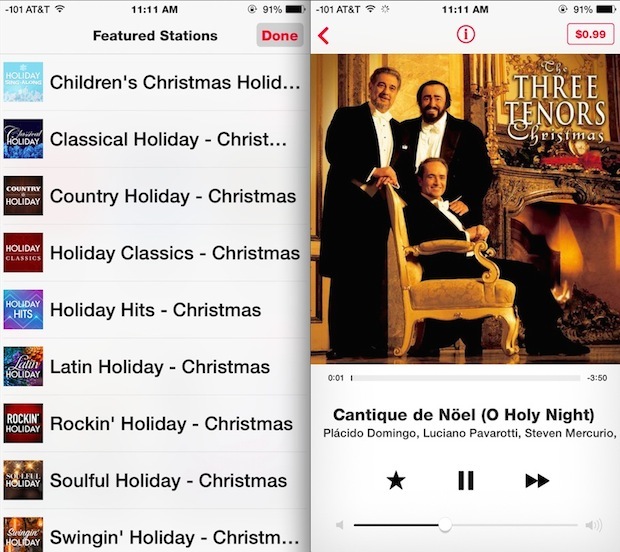 iTunes Radio, which is freely available on every iPhone, iPad, or iTunes app on the Mac or PC, includes 10 holiday themed radio stations that are perfect for the occasion and your theme preferences. On your iOS device just open the Music app and tap on the “Radio” button to tune in. The 10 themed radio stations on iTunes, as noted by MacTrast, include the following; Children’s Christmas Holiday Sing-Along, Country Holiday, Classical Holiday, Holiday Classics, Holiday Hits, Latin Holiday, Rockin’ Holiday, Soulful Holiday, Swingin’ Holiday, and The Sounds of Christmas. You can find the iTunes Radio stations right now in the Featured Section, or search for ‘holiday’ to find the full list of seasonal streaming options. (Classical Holiday and Soulful Holiday are both pretty great, by the way). If you’re not an iTunes Radio fan or it’s not available in your region, then Pandora (iOS app link) has no shortage of excellent holiday radio stations too. Plus, Pandora has the added benefit of being able to target specific bands Christmas albums and music related to those groups, so if the more generic themes offered by iTunes Radio aren’t your thing you can use Pandora to get very specific. 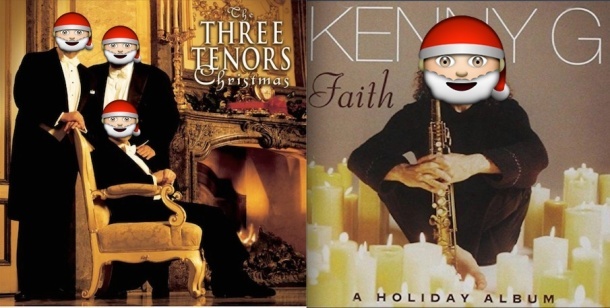 Whether you’re wanting The Beach Boys Christmas, The Eagles Christmas, The Temptations Christmas, or that Kenny G Holiday album you heard way too many times as a kid and couldn’t possibly miss the opportunity to make your own children listen to it now, well, Pandora has got you covered. Whatever music station or streaming service you go with, enjoy the holidays! 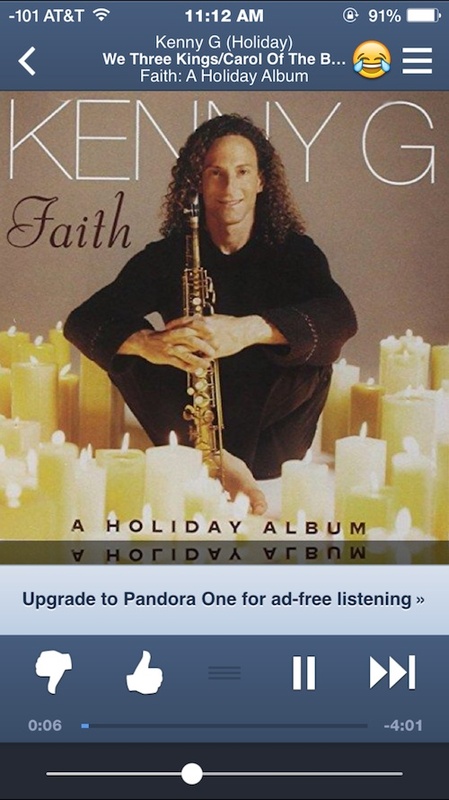 The Kenny G Faith Holiday album is great for a couple, or to cheese out your family if you’re not looking for romance. And what about WHAM Christmas? That was an awesome video. Thank you, and Merry Christmas to you guys too. Just love your site. Merry Christmas, and thanks for reading!